Apr. 11 (NBD) -- Shenzhen is mulling easier registration procedures for investors in Hong Kong to start a business in the mainland, in a bid to promote the development of the Guangdong-Hong Kong-Macao Greater Bay Area (GBA). On Wednesday, the Market Supervision Administration of Shenzhen, together with several banks in Shenzhen and Hong Kong, announced the launch of "e-Registration" to provide one-stop business registration service for Hong Kong investors. Without actually stepping out of Hong Kong, investors can get an enterprise registered in Qianhai Shenzhen-Hong Kong Modern Service Industry Cooperation Zone ("Qianhai"). Earlier this year, the Chinese authorities unveiled the blueprint for the development of the GBA to deepen cooperation between Guangdong, Hong Kong and Macao, to optimize investment and to business environment in the nine cities of the Pearl River Delta and improve the market integration level within the Greater Bay Area. 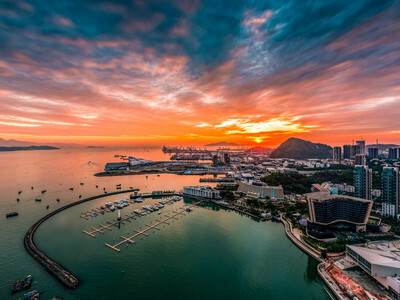 The "e-Registration" service released against such backdrop is currently on a test run in the Qianhai and Shekou areas of Guangdong Pilot Free Trade Zone and will be extended to a bigger region, said Kuang Bing, director of the Market Supervision Administration of Shenzhen. Fung Siu Ming, deputy chief executive with Chong Hing Bank, held the handy service, which breaks through geographical restrictions, will on the one hand help Hong Kong companies seize opportunities to expand in the mainland market, on the other hand, set an example of boosting connectivity of the GBA and exploring innovative financial services by the Shenzhen government in partnership with banks. According to the Market Supervision Administration of Shenzhen, as of this March, Hong Kong-invested enterprises in Shenzhen numbered 40,038, taking up over 70 percent of the total number of foreign-invested firms in the city.